According to the data, 92% of people fail their New Year’s resolution — and this should hardly come as surprise. Most New Year’s resolutions are either too ambitious, too vague or just don’t have the right motivations behind them. This is where a racking inspection form comes in. Rather than having some optimistic and whimsical notion for a New Year’s resolution, a warehouse racking inspection checklist means you have something solid that you can use to achieve a measurable goal: a safer warehouse. 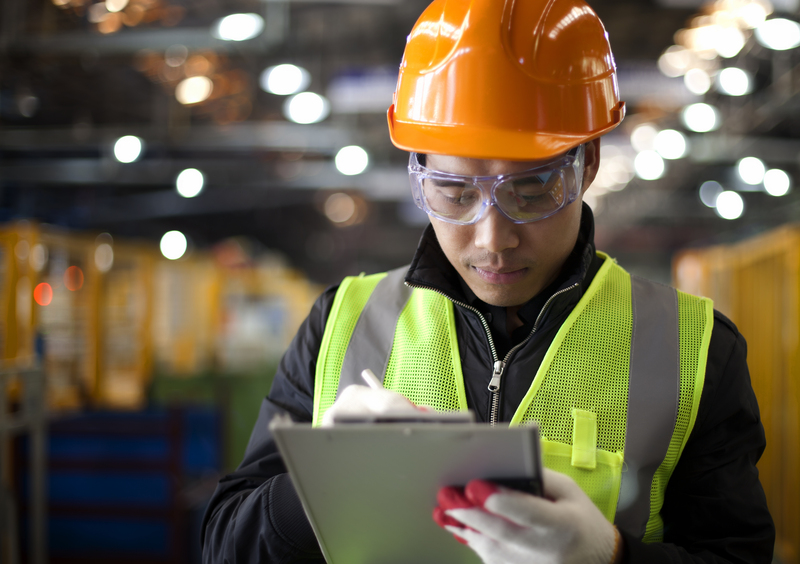 Beyond the temporal significance of committing to greater warehouse safety as part of a New Year’s resolution, it also makes sense from a business perspective. During Christmas, your warehouse likely went through quite the ordeal, with your racking systems clogged up with all that extra Christmas stock. It’s entirely possible that your storage systems were damaged during the chaos of Christmas. More than that, it’s entirely possible that, while you were very careful at the time, you still managed to miss one particular piece of damaged racking. Mistakes like this shouldn’t happen, but the fact is they often do — especially during Christmas. A racking inspection form helps ensure that your warehouse inspections are regular and systematised. Without one, it’s easy to find yourself checking the same section of racking twice while missing another section of racking altogether. Our warehouse racking inspection checklist is designed precisely so this doesn’t happen. By using a table that breaks down each part of a racking system, you can check every piece of each section of racking against your checklist. You can then use the checklist to note down exactly where you found each section of racking. Doing so means you spend exactly the amount of time you need to spend inspecting your racking: no more, no less. Our warehouse racking checklist is designed to be as user-friendly as possible. Even still, we’d highly recommend racking inspection training to help you effectively use your checklist. Our racking inspection training will give you the skills necessary to perform checks that are quicker and more accurate. …And an Outsider’s Opinion Doesn’t Hurt Either! Getting an expert from outside your business to come check your racking isn’t just a good idea; it’s recommended by HSE. Not having a SEMA approved racking inspector take a look at your racking at least once a year means running counter to HSE’s advice. According to the new CDM regulations, this means that should the worst happen and someone is injured or killed in your warehouse due to unsafe racking, you’re likely to be legally responsible. Making sure your warehouse has a SEMA approved racking inspection at least once a year (alongside regular racking inspections from trained staff, using our free racking inspection checklist) means that you have a New Year’s resolution you can keep. Learning how to play the violin is all well and good, but this New Year, consider a practical and useful resolution that you can measure. That way, you might just wind up being one of the 8% who sticks to their New Year’s resolution in 2017. Download our free racking inspection form to get your 2017 off to a great start!